Detroit was founded by the French, taken over by the British, and finally became an American city in 1796. John Francis Hamtramck led the troops who took over Detroit. Detroit burned to the ground in 1805 and the man chosen to draw up a new plan for the city, Augustus Woodward, named the main street after himself! By the 1830’s Michigan applied to the U.S. Congress to become a state with a southern border based on the Congressional Act of 1787. This action put the City of Toledo in Michigan. The resulting conflict with Ohio led to the Toledo War of 1835 between Michigan and Ohio. 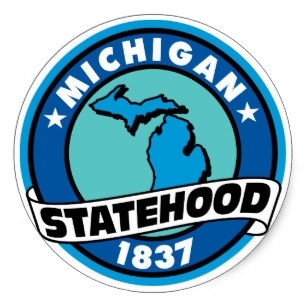 When Michigan became a state in 1837, the conflict was settled, Ohio retained Toledo and Michigan was given the Upper Peninsula. 7:00 PM 8:00 PM America/Detroit Michigan Statehood: Did we really have a war with Ohio over Toledo?